There are two methods of making pastry: the traditional method and the modern method (recommended). 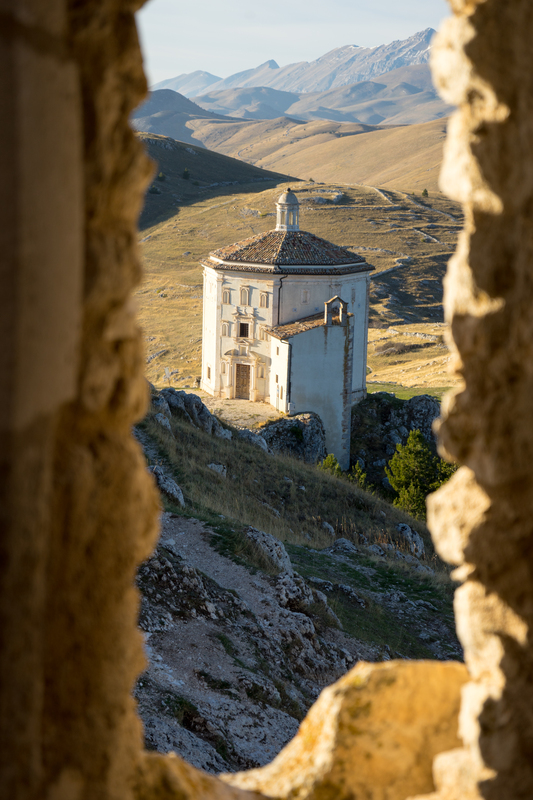 The traditional method mixes the dry ingredients together and then adds the cold butter to combine and then the wet ingredients so that the gluten in the flour does not have time to be activated by the wet ingredients. This produces a pastry with a “sandier” texture well suited to biscuits. 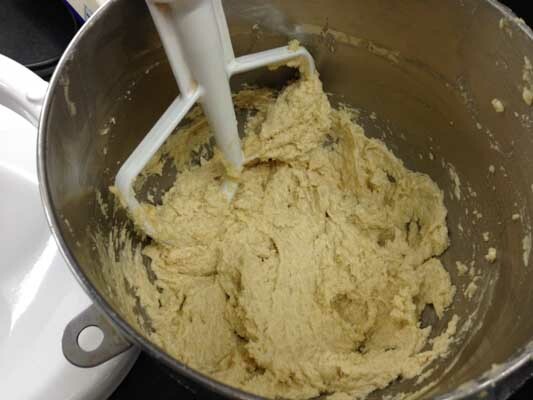 The recommended modern method mixes room temperature butter with the sugar, then adds the egg, and finally the flour so again the gluten in the flour does not have time to be activated by the wet ingredients. The benefit of the modern method is that the pastry is more pliable and easier to work and the warmer butter is more easily blended in so doesn’t leave pieces of butter in the dough which could create holes when baked. 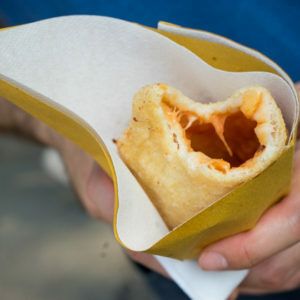 The modern method also makes a pastry which is less likely to shrink when baking so does not need to be weighted down. 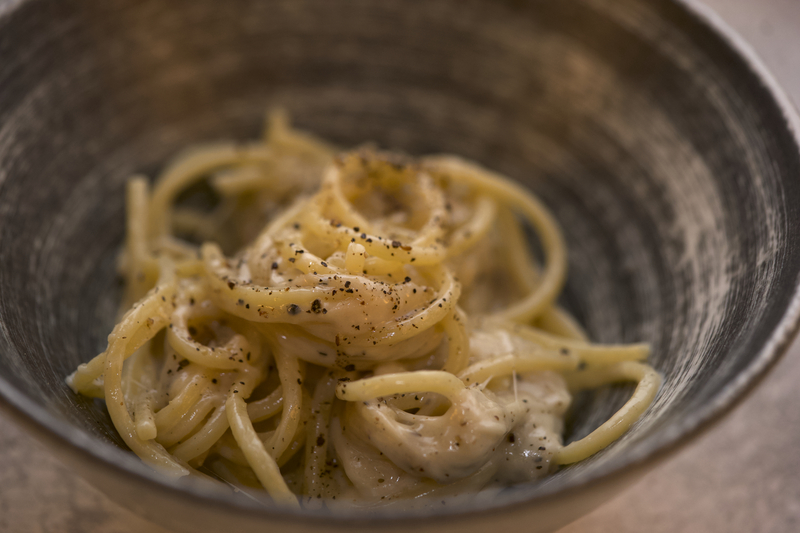 This recipe was adapted and the technique adopted from a cooking class I did at the Intercontinental's Cooking with Culinary Stars featuring Alain Ducasse's Spoon. Please see notes below for variations. Sift together the flour, cornstarch, salt, and sugar. Stir in the lemon zest. 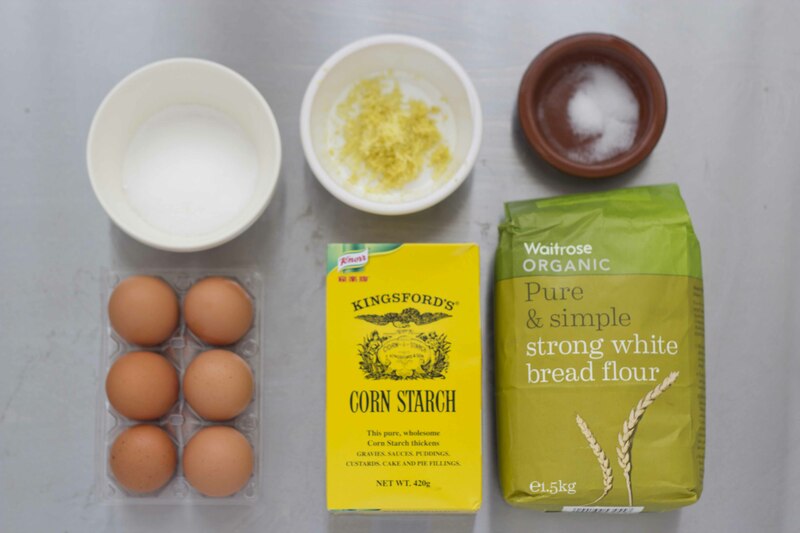 Use two knives to cut the butter into the flour mixture until it form small pieces of butter and then use your fingers to rub the flour into the butter between your thumbs and forefingers until it resembles coarse breadcrumbs. Then add in the yolks, mixing just to combine, do not over mix. Mix together the butter and sugar until well combined. Scrape down the bowl. 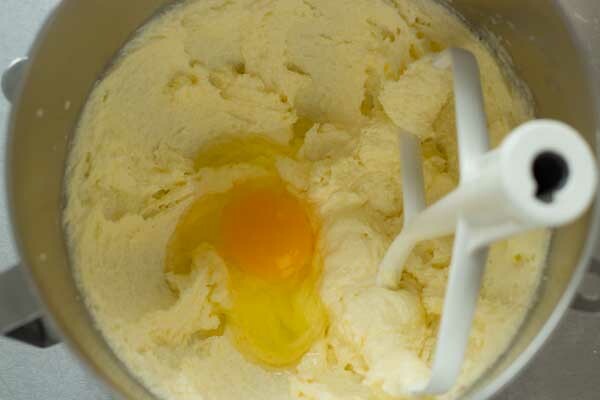 Add the egg, salt, and zest until well combined so that the butter and egg emulsify but are not creamed together. Scrape down the bowl. Sift together the cornstarch and the flour. Add the flour to the butter and mix. Be careful not to over mix it and ensuring the bowl is well scraped. Form a ball and wrap in plastic and leave in the refrigerator for 2 hours to 2 days. 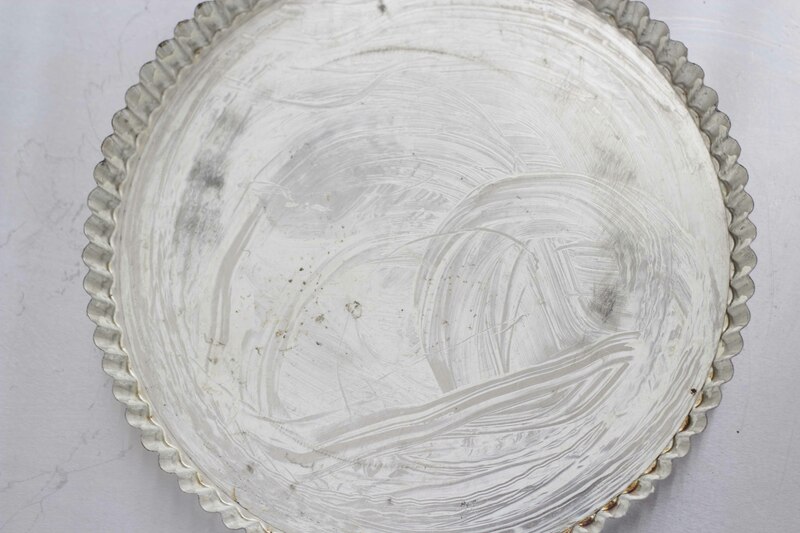 Butter a 24 cm tart tin. 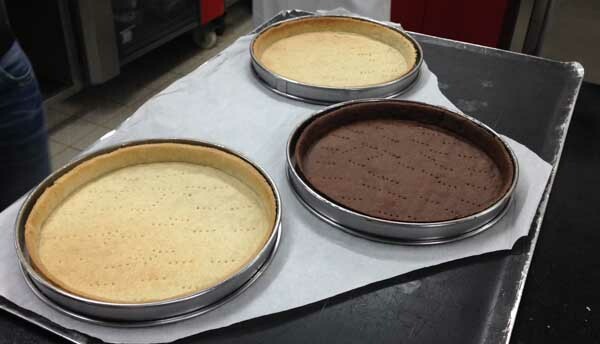 If using a tart tin, line the bottom with parchment paper. 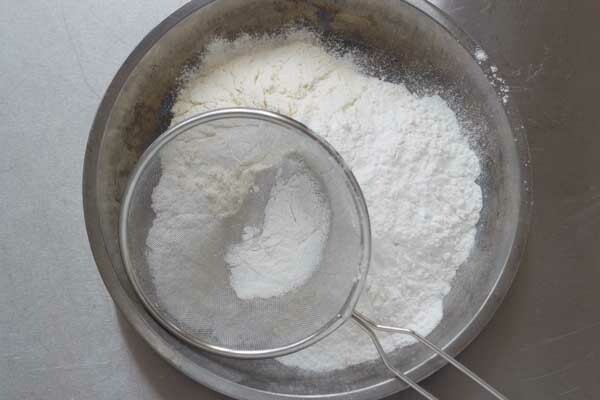 Remove the dough from the refrigerator and place on a floured surface. Use as much flour as needed to sprinkle over the dough and spread it around with your hand to ensure that the pastry does not stick. 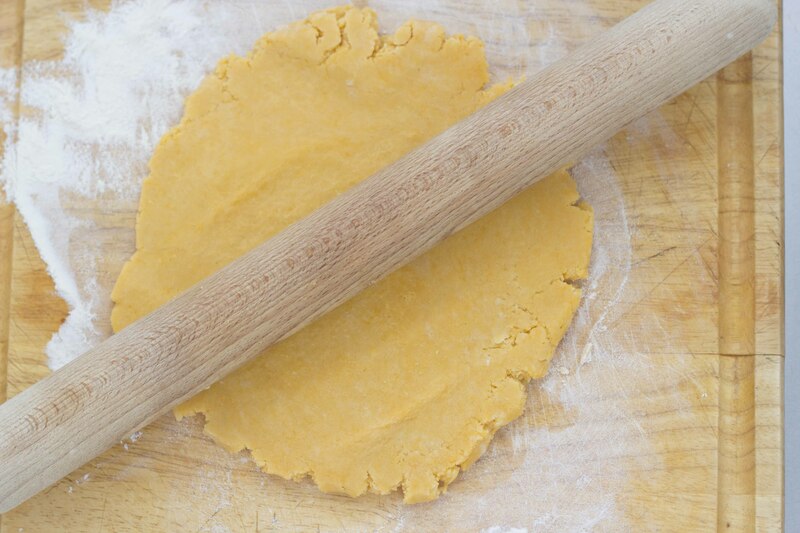 Use a rolling pin to hit the dough until it is an evenly flat disk. On a pastry board, roll the dough to 3 mm thick using flour to ensure that it doesn’t stick to the rolling pin or the counter. 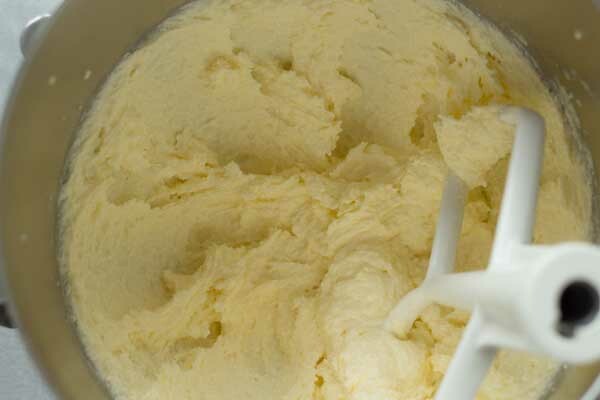 If the dough begins to crack, cut off the part which is cracking and keep rolling. 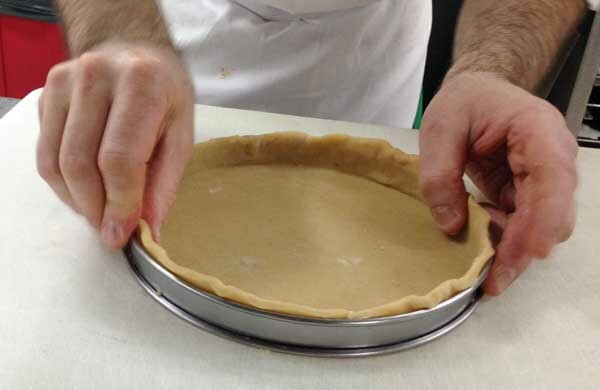 Use a pastry scraper to help roll the dough around the rolling pin and then unroll into the buttered tart tin. If the pastry is too soft to do this then place the disc of dough back into the refrigerator for 10 minutes and try again. 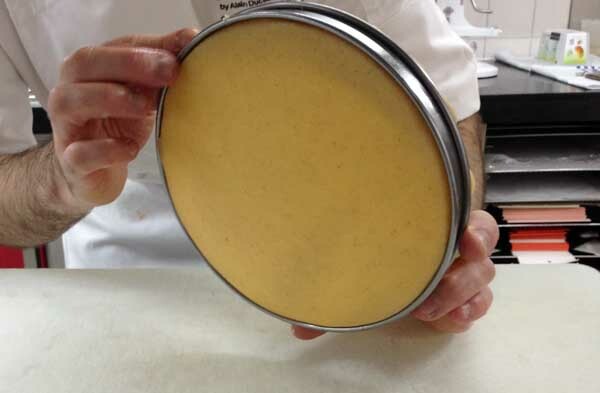 Press the pastry into the tin, ensuring that the pastry fits into the bottom right corner of the tin so that when it cooks it doesn’t slide downwards. 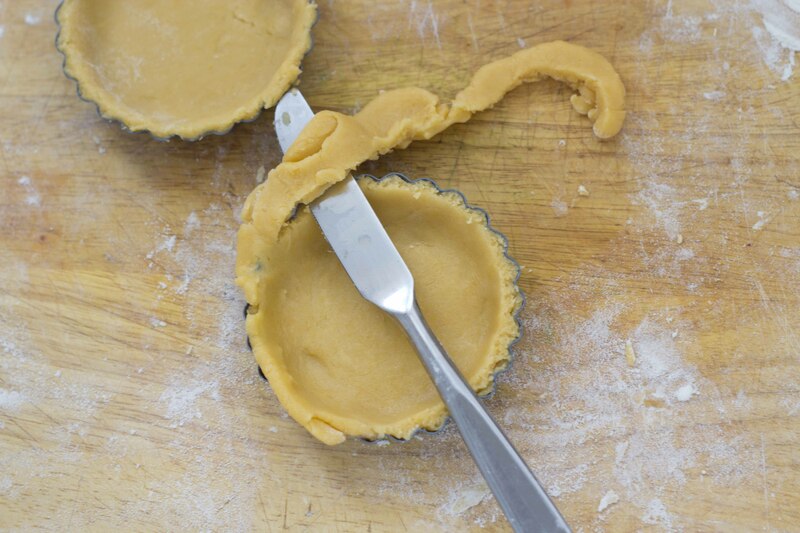 Use a knife to cut any excess dough from the top of the tart using small cutting motions. 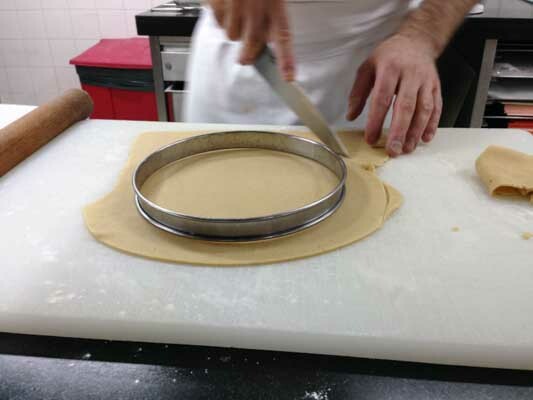 Place the ring mould on the rolled out pastry and calculating how much pastry you will require to cover the sides of the ring mould, cut away any excess pastry. 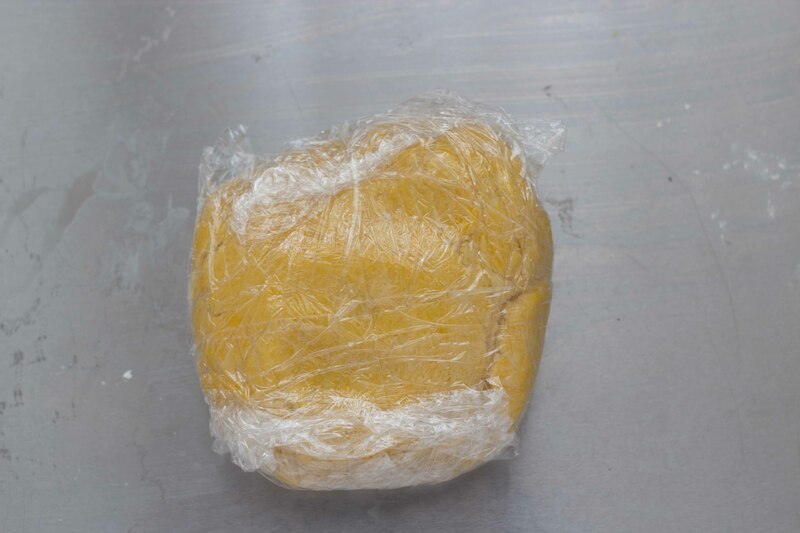 Use a pastry scraper to help roll the dough around the rolling pin and then unroll into ring mould. If the pastry is too soft to do this then place the disc of dough back into the refrigerator for 10 minutes and try again. 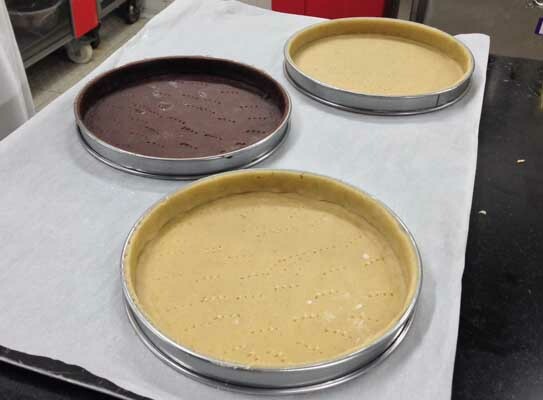 Press the pastry into the mould, ensuring that the pastry fits into the bottom right corner of the tin so that when it cooks it doesn’t slide downwards. Use your fingers to push the dough down into the ring and use a thumb to gently press it against the side ensuring that the dough is an even thickness. The dough should be at a 90 degree angle to the side of the ring mould. 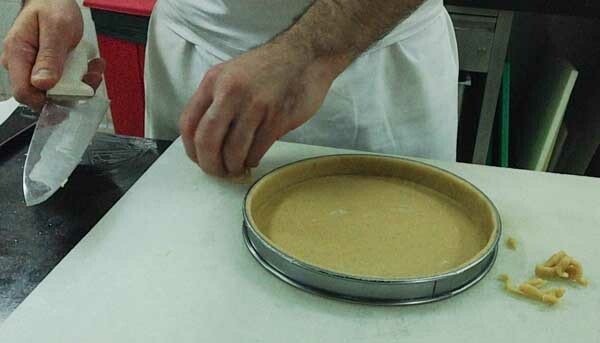 Use a knife to cut any excess dough from the top of the tart using small cutting motions no larger than 3 cm at a time. Use the rolling pin to roll across the top of the tin to remove excess pastry that extends beyond the top of the tart tin. Place it on an ungreased parchment paper lined cookie sheet. Place the pastry in the refrigerator for 10 minutes as this will help it to keep its shape when you bake it. Poke holes throughout the pastry spaced about 1 cm apart to ensure it doesn’t balloon while baking. If using a ring mould, cut the excess paper around the mould. Place the pastry in the oven and bake for 20-25 minutes or until evenly dark golden brown. Remove from the oven. 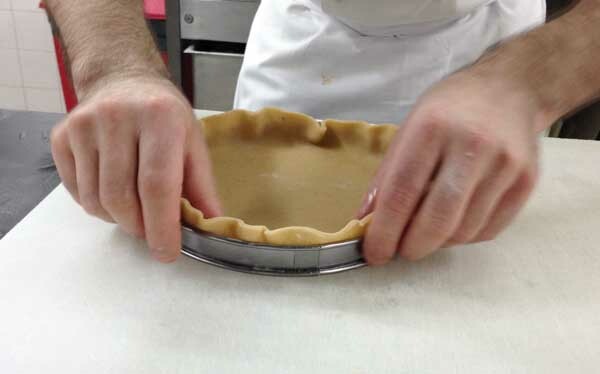 If using a removable bottomed tart tin, remove the sides and slide the bottom onto a wire rack. Then remove the metal bottom and paper to allow the pastry to cool thoroughly on a wire rack as the metal tin creates moisture which makes the crust soft. 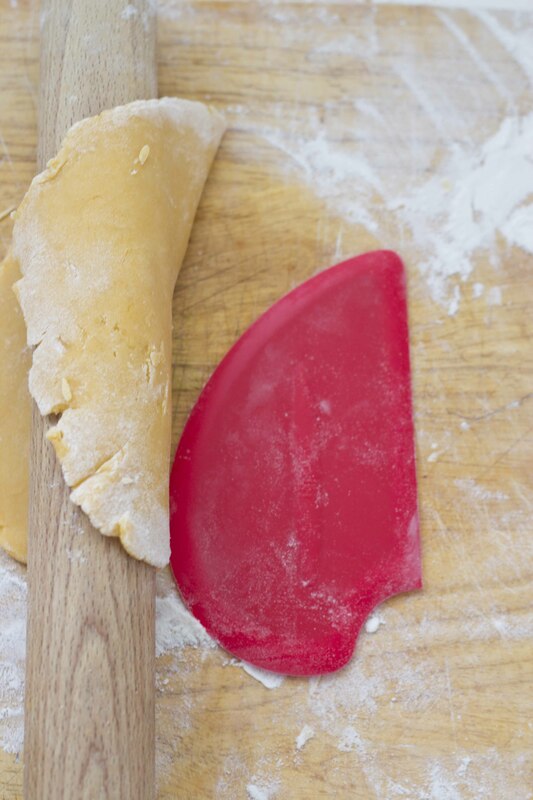 If using a ring mould, slide the pastry off the baking tray onto the rack, slide off the paper. The pastry can be made in advance to be finished just before serving. While it requires some advance planning, the actual time spent making the pastry is short. Chocolate short crust: substitute 25 grams of the cornstarch with 25 grams of cocoa powder. 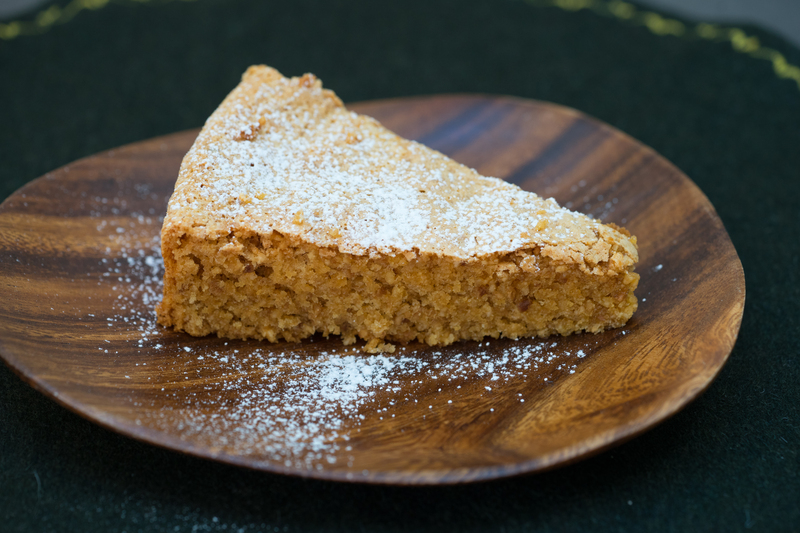 Almond or hazelnut short crust: substitute 25 grams of the cornstarch and 15 grams of the flour with 40 grams of finely ground almonds or hazelnuts.